Need extra anti-slip protection but don’t want to compromise the appearance of your stairs? Try these Light Grey Heavy Duty Stair Treads from Sure-Foot, a leader in safety and anti-slip flooring. The standard marble diamond pattern is 6” deep, and adds unbeatable protection from slippery surfaces. These interior stair coverings are perfect for any building where you anticipate heavy pedestrian traffic. 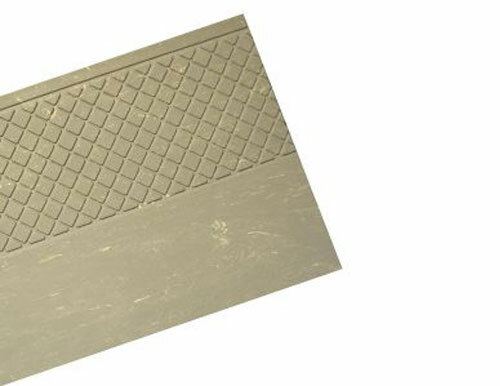 All of our heavy duty rubber stair treads come with an easy to clean design, for easy maintenance and less wear-and-tear. Be proactive in preventing accidents with rubber stair treads from Sure-Foot Industries. We can help you prevent unnecessary slip and fall risks. Contact us or request a product sample today!